The high amount of noise in the above photo had me in two minds about posting this one here. I didn't have a place to rest my camera on firmly enough to capture it in a lower ISO. Sad. 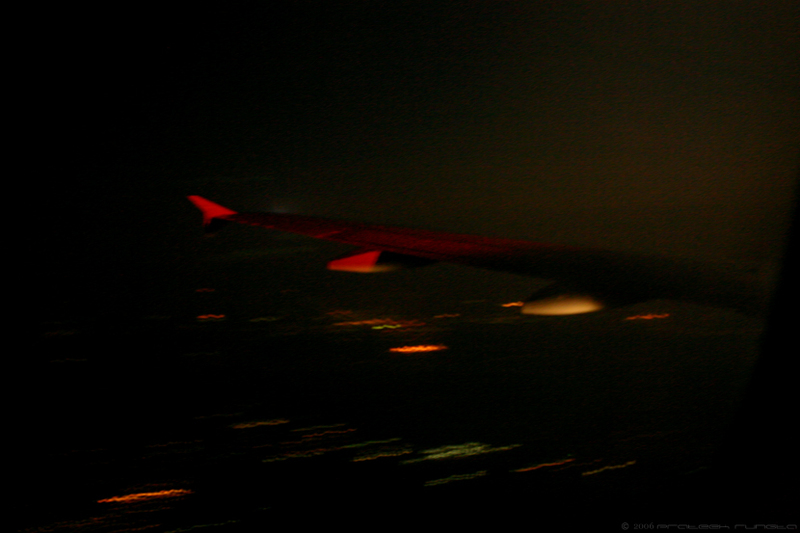 Nevertheless, I finally managed to capture a plane landing, from the inside. In this case, the plane was about to touchdown at the Netaji Subhash Chandra Bose airport at Kolkata. Oh, and by the way, never travel on Air Deccan as long as there is another option, ANY other option!